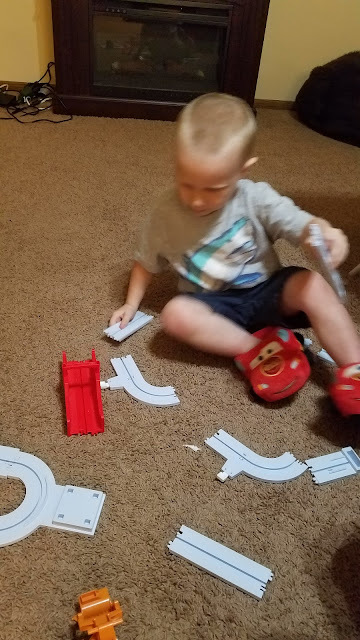 Do you have a train lover in your house like I do??? 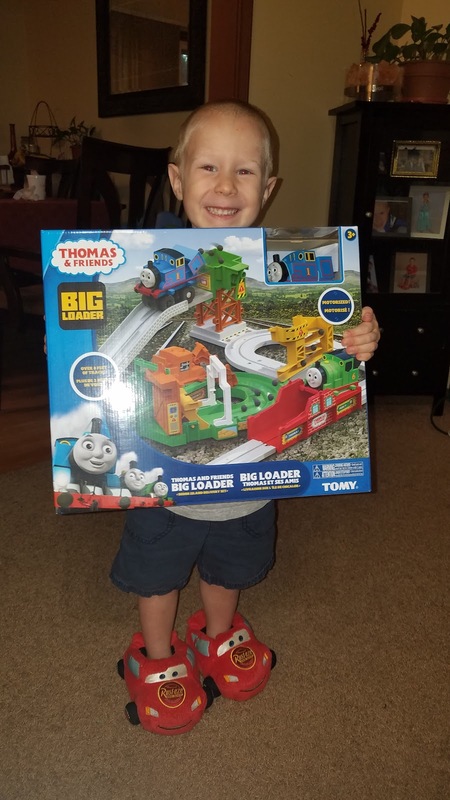 Then you are going to want to climb aboard The Thomas and Friends Big Loader from TOMY! I know my family has and the smiles and fun we have had with the set has lasted hours and hours! 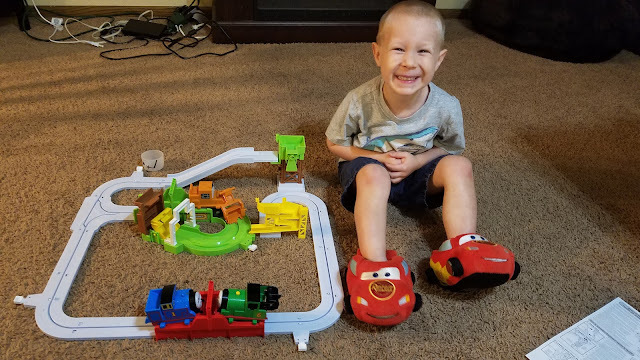 My son and I spent a whole morning putting this set together and then watching Thomas, Percy and Terence pick up and deliver their loads on time throughout Sodor. 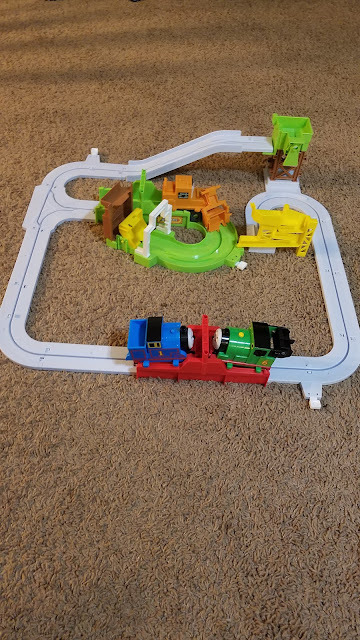 The Thomas and Friends Big Loader set features multiple loading areas and a fully automated engine that transforms between Thomas to Percy and Terence, and back again. Each set Includes 1 mechanical vehicle chassis, 3 vehicle bodies, over 8 feet of track and destinations, and loads of cargo to haul around! There are even fun stickers to put on the track that makes it look even more real! We have been playing with this track for days as a family and everyone from ages 34 to 4 have enjoyed watching the trains work together and deliver the load! 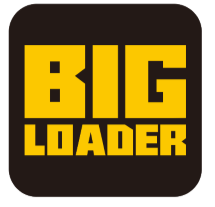 You can purchase the Big Loader for $39.99 on Amazon.com. It is made for ages 3+, so even the youngest Thomas the Tank enthusiast can play!